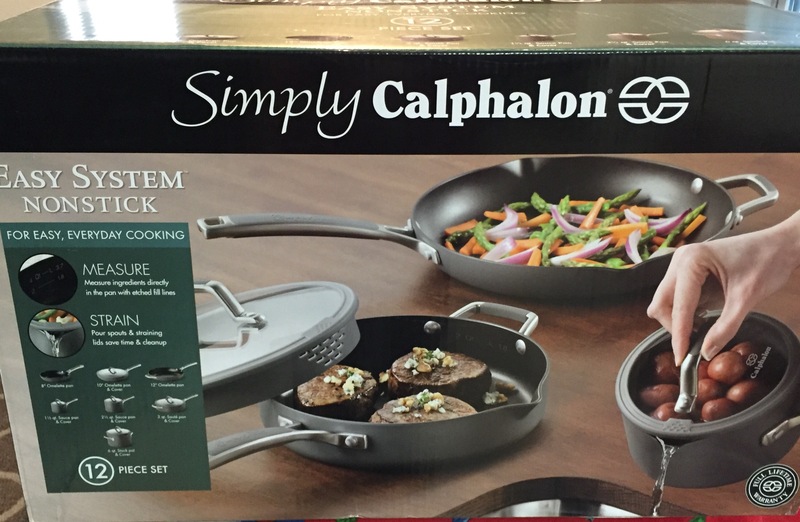 I love my new Calphalon cookware set. I love the etched fill lines on the pots and especially the pour spouts and straining lids on every pot and pan. Cooking and draining potatoes in Christmas Day was a breeze. 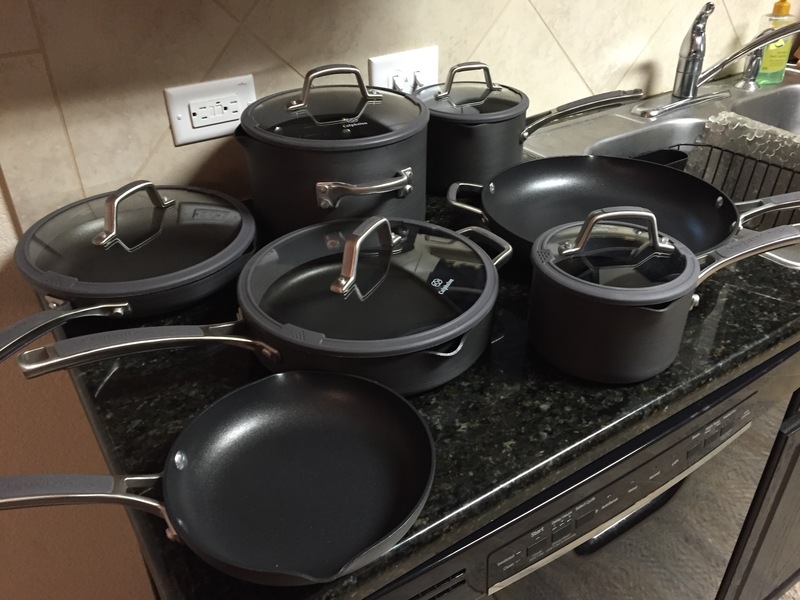 The hard anodized aluminum cookware heats evenly and quickly. 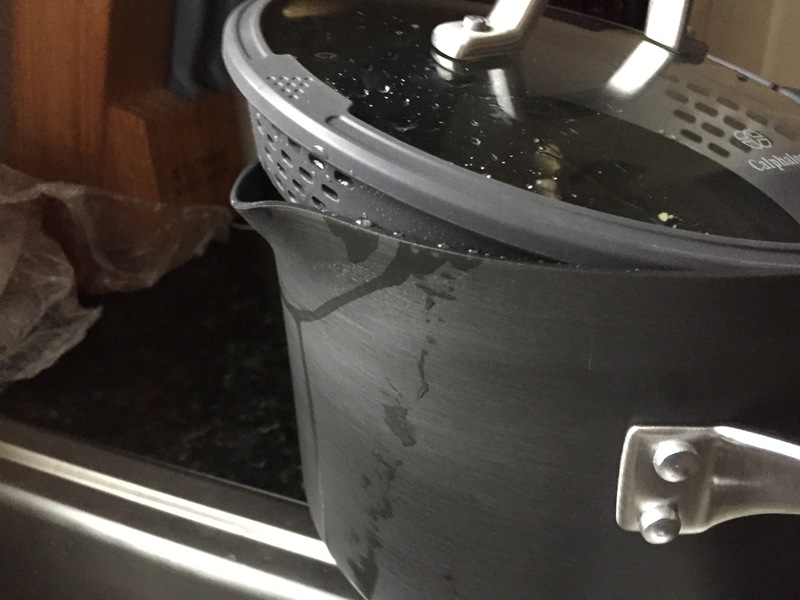 Cleanup is quick and easy, even when you leave a sticky pot/pan to cool without any liquid in it. 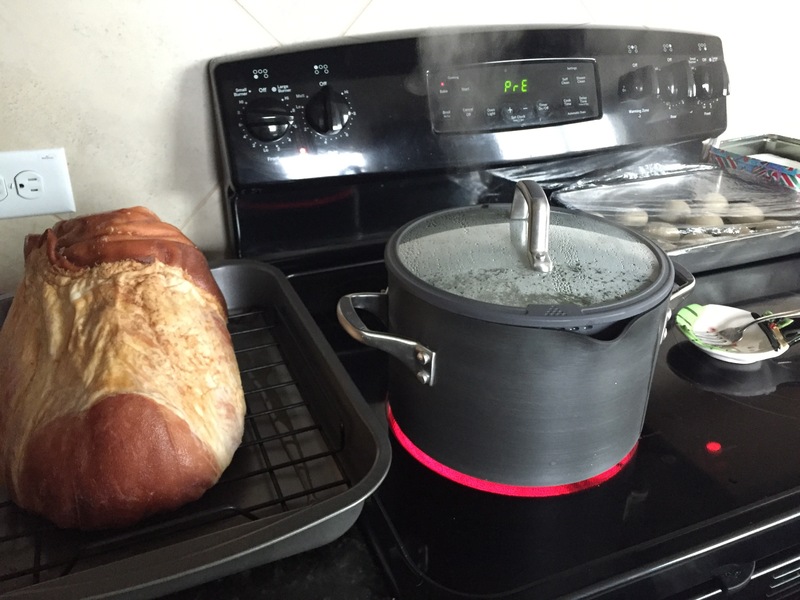 The directions say extreme temperatures can warp the cookware. Which makes sense, of course, and had I read directions on other cookware before, I bet they probably said the same thing. 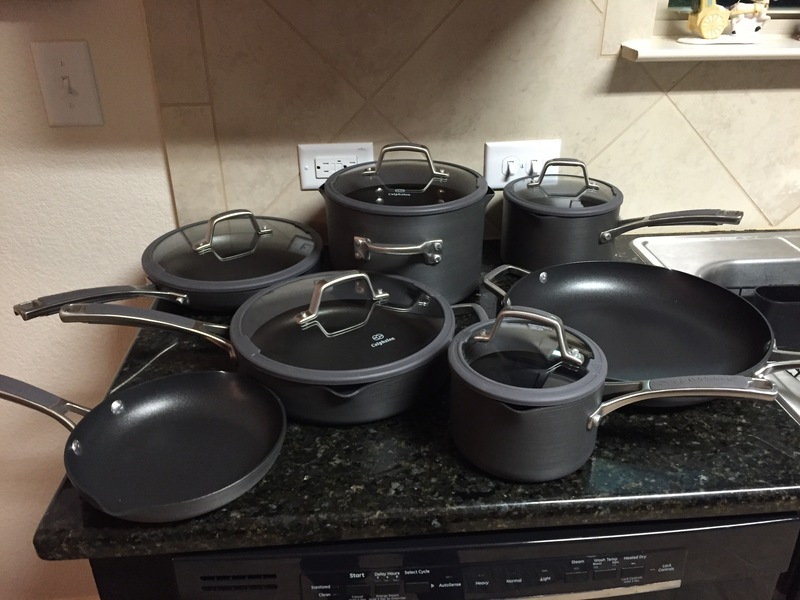 The only thing I don’t like is that the 8- and 12-inch omelette pans don’t come with covers. But I’m hoping I can find those separately in a store somewhere.